Environmental awareness is extremely prominent in Portland, Ore., a deeply green city that's home to a thriving sustainable culture. People move there to plant gardens and bike to work. Composting is the norm, and chickens, goats, and bees are regular additions to backyards. The state recently became the first in the country to ban coal-fired power. This eco-reputation is why it was especially surprising when officials recently discovered several poisonous heavy metal hotspots within the confines of the city. Another surprising part of the story: tree moss samples led them to their conclusions. In a serendipitous turn of events, a recent U.S. Forest Service research project in Portland meant to study the build up of hydrocarbons in moss from the burning of wood and fossil fuels ended up identifying several heavy metals—specifically arsenic, cadmium, and chromium—as well as their sources. It turns out that artisan glass manufacturers were the cause of this urban pollution; pollution that city regulators had known about for years but were unable to pinpoint to any specific source. "We were looking at whatever we could afford to measure in our samples," Igor Burstyn, a professor at the Dornsife School of Public Health at Drexel University and an author on the study told me. Burstyn said that the results of the study show how it might be possible to create detailed air quality maps on the cheap in the future. "If you think of a city like Philadelphia where I live, there's something like three air quality monitors in the whole city," he said. "They don't tell me much about what's happening in my neighborhood because they are far away—having this cheap, alternative technology could give me a much finer understanding." Burstyn thinks that using moss and lichen to measure air pollution could "be a revolutionary innovation that would help us learn a lot about air quality." Right now we base all our expensive regulations on a handful of monitors. "Right now we base all our expensive regulations on a handful of monitors, seriously," he said. "They give us a lot of information a the city level but not much in the way of distinguishing my exposure from that of my neighbor. A lot of people might be upset with what they find, but the whole field of air pollution measuring is already fraught." The tests in Portland showed that cadmium concentrations near the two glass manufacturers were 49 times higher than the state's benchmark. Cadmium is frequently used in battery manufacturing and stained-glass production, and is linked to health problems such as kidney disease and heart failure. As part of the fallout from the revelations, the head of the Oregon Department of Environmental Quality resigned in March, though he cited health reasons. Oregon Gov. Kate Brown recently named a new interim director and released details of a "Cleaner Air Oregon" plan to increase oversight of industrial air pollution. At least one class action lawsuit in in the works. Both glass manufacturers—Bullseye Glass and Uroboros Glass—have voluntarily stopped using cadmium and will be putting new filters on their furnaces. Neither company was officially in violation of any of Oregon's air quality requirements as they had not been subject to regulation. As Oregon Public Broadcasting reported in March, the study has "state officials rewriting air pollution rules while residents run to their doctors for blood and urine tests." "Experts are now saying given how little we know about what’s in the air we’re breathing and the cost of air monitoring, perhaps we should be consulting moss more often," states the OPB story. Unprepped moss. The raw sample contains dirt, insects and other debris that needs to be cleaned out before the moss can be analyzed. 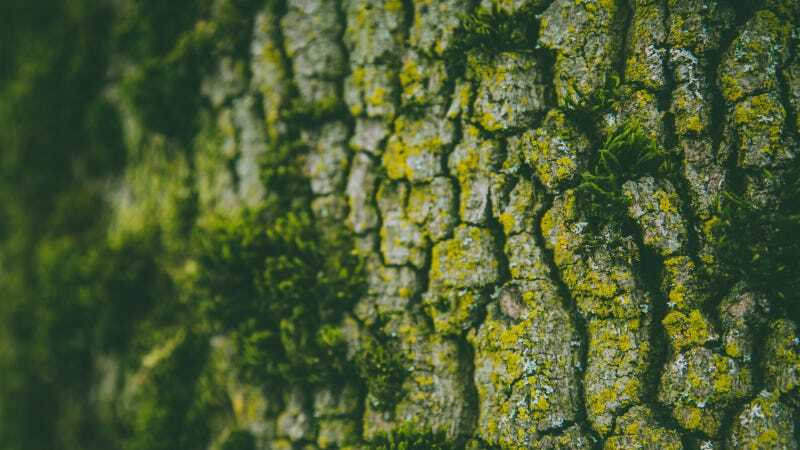 Moss is a superb air pollution monitor because it gets all of its water and nutrients from the atmosphere, storing whatever compounds happen to be present in the local environment. A final version of the USFS study published on April 7 in Science of the Total Environment sayss that while moss have been used as "bioindicators" by the Forest service and other agencies for decades, this was the first time it's been used to generate a detailed map of air pollution in a city. "Moss is a low-cost way of mapping air pollution and has the potential to revolutionize the enforcement of environmental regulations," conclude the study's authors. Sarah Jovan, a research scientist with the Forest Service's Pacific Northwest Research Station in Portland, Ore. and co-author of the study, thinks the study shows how moss have potential to improve air quality monitoring in locations that lack sufficient oversight, as well as as a tool to help regulators determine where to place air quality monitors. "The heavy metals analysis for moss costs us $50 per site, a low cost that makes it possible to sample extensively and flag hotspots for followup instrumental monitoring," she said in a statement. The science is fascinating because it’s so expensive to monitor air through normal air monitors, and you can only have a few of them. With the cadmium results published, the scientists are now working to put together similar maps of the 22 other metals and elements that were measured by the moss samples. “The science is fascinating because it’s so expensive to monitor air through normal air monitors, and you can only have a few of them. But you can take hundreds of moss samples, so that’s really valuable,” he said.